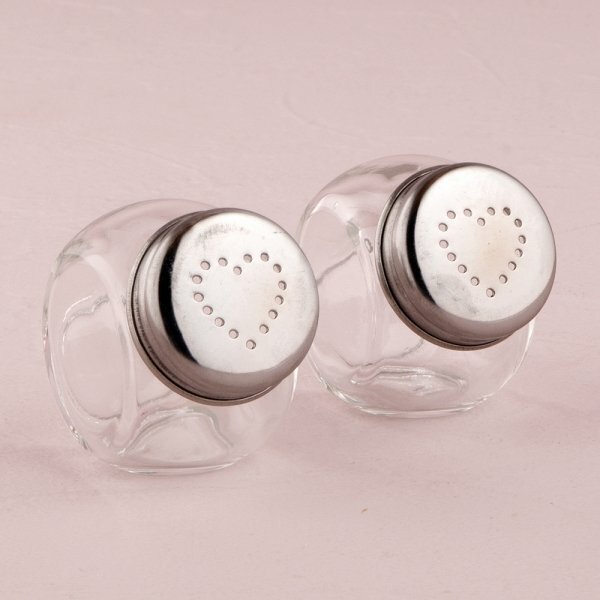 Each set of 2 includes two class jar shaped shakers that have heart-shaped holes. 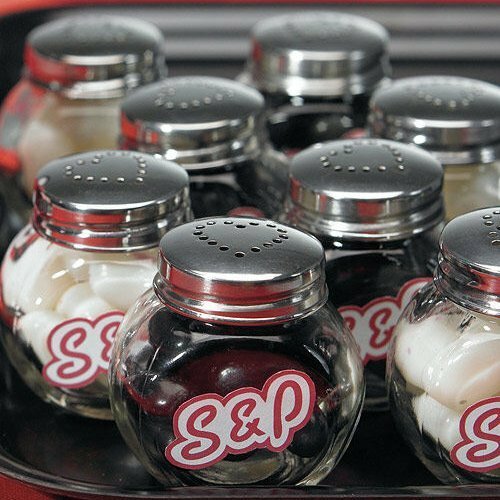 Fill them with salt and pepper or your favorite candies in colors that coordinate with the color scheme of the wedding. They arrive as a set in a clear plastic box. 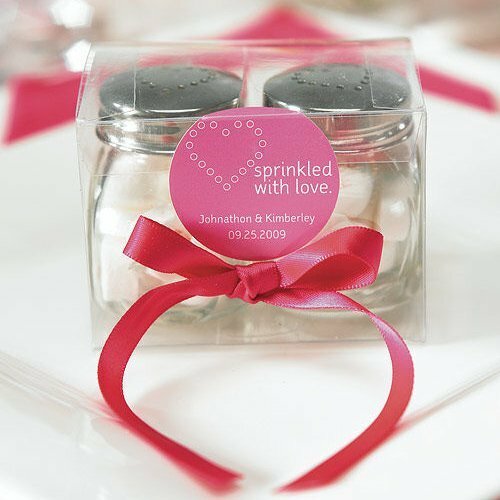 Just add some ribbon and our matching 'Sprinkled with Love' personalized stickers (item 8580) which must be purchased separately to create adorable little favors for your guests. Product dimensions of each individual shaker is 2" x 2". 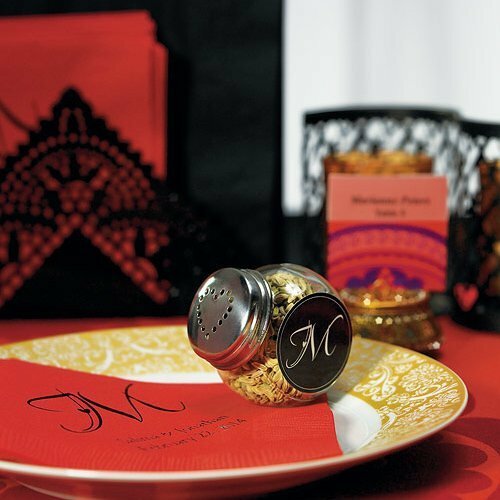 The set, including the clear gift box, measures approximately 4" x 4".